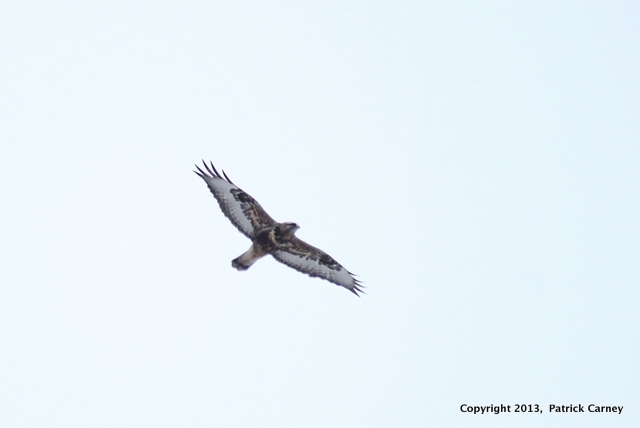 We have had at least two Rough-legged Hawks in the district in the past week or so — typically at a long distance. 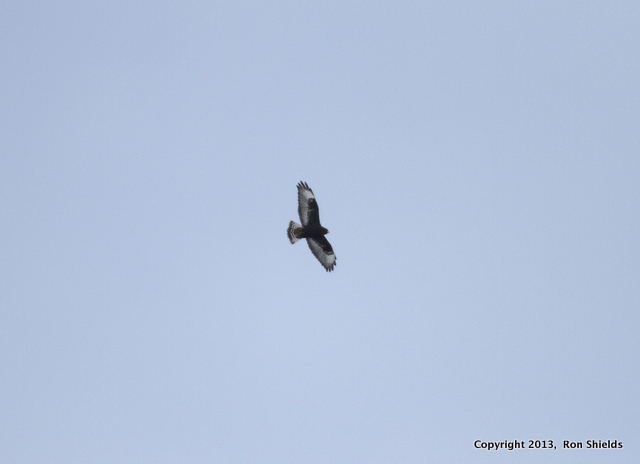 Herewith, some pix of this rare hawk, both light-morph and dark morph. Above, the light-morph, photographed by Patrick Carney on Dec. 31 on Disposal Road. Below, a dark-morph photographed earlier that day by Ron Shields on — you guessed it — Disposal Road. Congratulations to everyone who competed in our first-ever Meadowlands Big Year competition. We saw an amazing number of great birds — 2013 will be hard-pressed to equal 2012. The grand prize winner, Chris Takacs of Lyndhurst (above), saw an astounding 211 species – five more than NJMC staffer Mike Newhouse, who set the bar for the other entrants. In the “out of district” category, we had a two-way tie. 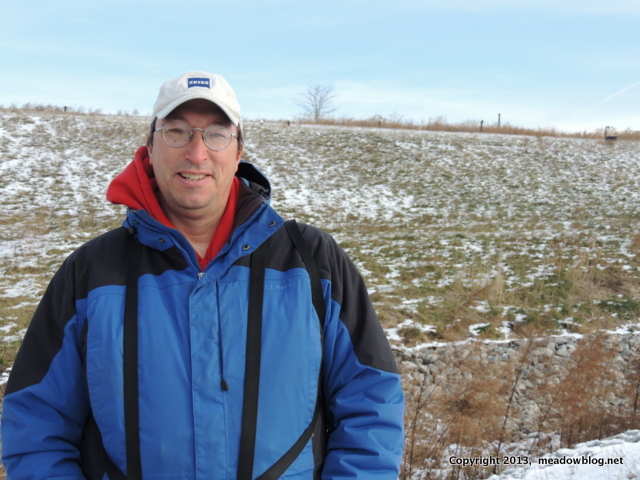 Doug Morel of Mahwah and Ramon Gomez of West New York each saw 171 species. We will post their photos as soon as we can get them. 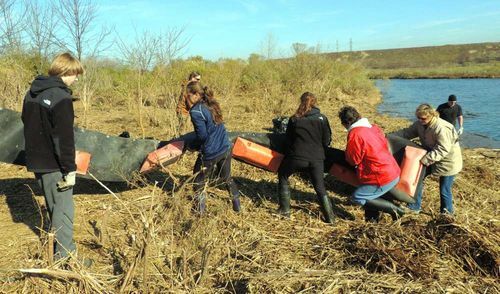 For their Herculean efforts, all three birders receive an autographed copy of the new book “The Nature of the Meadowlands,” an NJMC pontoon boat ride for two and a one-year membership in the Meadowlands Environment Center public programming. We will try to post the lists from all three birders when we can. There's nice article in the South Bergenite today about our volunteer cleanups. Volunteer cleanup crews working with the New Jersey Meadowlands Commission (NJMC) and the the Bergen County Audubon Society (BCAS) in the Meadowlands for the past few weeks have been clearing away the litter and debris brought by the intense winds and devastating flooding of Hurricane Sandy. "The Commission was able to bring Mill Creek Marsh, Harrier Meadow and part of DeKorte Park back online so quickly thanks to a tremendous effort by the NJMC landscape crew and the nearly 150 people who gave 269 hours of their time participating in five volunteer cleanups at these parks," said Marcia Karrow, Executive Director of the NJMC. Coming Later Today: Big Year Winners! Because of the NJMC power outage, we are having some trouble accessing photos, emails, etc., but we are hoping to post the 2012 Meadowlands Big Year results today at 3 p.m.
Our New South Bergenite Column: Salute to Volunteers!